Washington, D.C. homeowners trust the professional plumbers at Master Plumbing and Mechanical! Washington, D.C. is known for its beautiful neighborhoods and long history as the capital of the United States of America. Many historical homes line the streets of neighborhoods like Georgetown, Adams Morgan, Mount Pleasant, and many others. Without a doubt, however, every home in Washington D.C. will eventually need to have its plumbing checked out at some point or another. 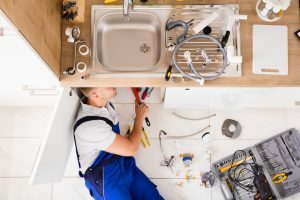 If you’re worried about the plumbing in your home, you can count on Master Plumbing to diagnose and fix any problem you might be experiencing! Master Plumbing offers many plumbing services to help keep your Washington, D.C. home’s plumbing system in great shape year-round. Here are some of the essential plumbing services we offer. Most homeowners don’t think too much about their sewer line – until, at least, something goes wrong with it! And it’s very easy to tell when something is going wrong with a sewer line– foul smells, slow drainage, and backflow into your other plumbing fixtures can all indicate a problem with a sewer line. Getting this problem addressed quickly is critically important for the health of your family. Master Plumbing can help if your Washington, D.C. home’s sewer line is broken or malfunctioning! We can perform a video inspection to assess the line and locate any problems. Depending on the age of the plumbing pipes; the system may be broken in many small areas, necessitating a full replacement. We can replace the full sewer line with PVC pipes that will last the rest of your lifetime – over 100 years when properly installed! The old age of some Washington, D.C. homes may make for a charming appearance on the outside, but may also mean seriously old water pipes on the inside. Broken water pipes can result from issues other than simply old age, however. Once you’ve turned off the water in your home, give the experts at Master Plumbing a call. We can diagnose the problem by gathering some basic information about your home, which may be able to explain the cause of the break. Once we’ve figured out the problem, we take the history of the piping into account before determining the best course of action for a lasting fix. Other Services Performed By Our Professional Plumbers in Washington, D.C.